Published at April 2, 2007	in . 5 Comments Tags: No Tags. I was at Ritual Roasters on the first day of Videoblogging Week, April 1st. I love no pants days. I was really getting jealous of the quality of picture on your phone until I realized what you did! 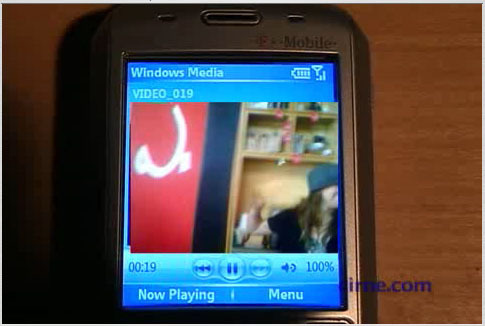 Of course, it’s STILL better than any video I would have gotten from my Treo. Great video. I’m still trying to figure out how to get my phone to take larger video size and for the flash version not to freeze on blip. Yea, my camera — T-Mobile SDA by HTC — goes up to 176×144 mpeg4. The quality isn’t great, but if you don’t move the camera much it’s acceptable.